The 2018 Chevrolet Impala is now available in the Middle East, where it will likely appeal to drivers who preferred the high-series LTZ trim in years past with the new Premier trim level. 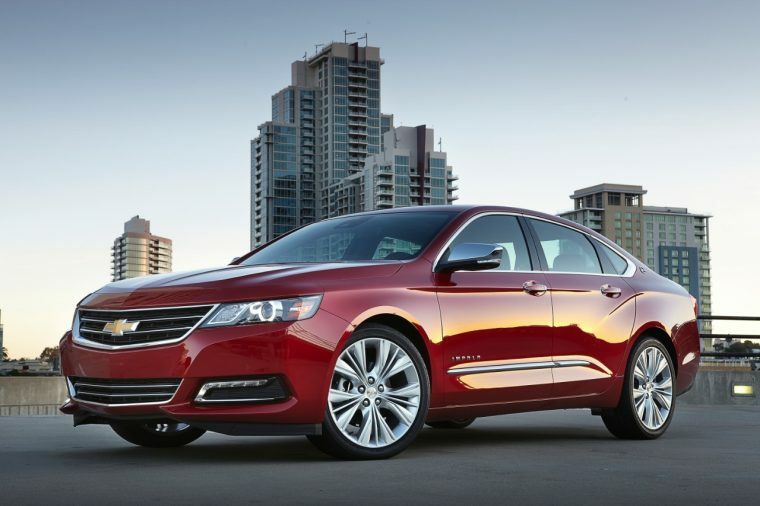 The new Impala capitalizes on the success that the nameplate has enjoyed in the region since its 2014 launch with a pleasant mix of performance, style, convenience technologies, and standard safety functionality. “The 2018 Chevrolet Impala is one of the most remarkable cars in our lineup. Its aggressive-yet-fluid styling is backed by a potent V6 engine, and its serene cabin is among the most spacious and tech-laden. With 10 airbags and a host of available cutting-edge safety and entertainment features, it is one of the most accomplished family cars on the market,” said Ahmed Soudodi, Head of Brand, Chevrolet Middle East. The 2018 Chevrolet Impala is offered with a burly 3.6-liter V6 engine, which is mated to the trusty six-speed Hydra-Matic transmission. This powertrain delivers an impressive output of 305 horsepower and 264 lb-ft of torque, making the Impala equal parts capable and exciting. Adding to the luxurious aspect of the Impala Premier trim is three available premium exterior hues: Cajun Red Tintcoat, Iridescent Pearl Tricoat, and Mosaic Black Metallic. Standard colors across the lineup include Blue Velvet Metallic, Silver Ice Metallic, Summit White, and Black. In terms of safety, the 2018 Chevy Impala will be offered with 10 standard air bags and available active safety technologies including Forward Collision Alert, Lane Departure Warning, and Side Blind Zone Alert. Convenience and infotainment technologies offered with Impala include Bose active noise cancelation technology, Apple CarPlay and Android Auto compatibility, and wireless smartphone charging.